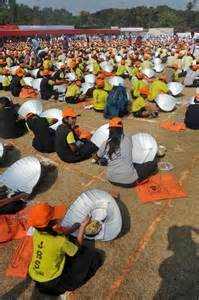 We want to start the technique of Solar Cooking in running mid-day-meal in schools. On trial basis we want to start in school having 50 odd students. Our school is located in the district of Jalpaiguri, state west bengal, country - India. The climatic condition of the area has average rainfall for 4-5 months. Basically, we don't have any idea. we want you to elaborately give details regarding solar cooking including information regarding Infrastructure required, cost involved and its advantages over general cooking methods. Thank you for your questions and your interest in using solar cookers for cooking school lunches in India. The best way I can help you is to direct you to the best resource and the expert in this field: Dr. Ajay Chandak of India. He has helped many schools to implement such a program as you are wanting to do. Ajay has spent many years working in the solar cooking field and has helped many organizations know how to establish their own solar cooker program.